Girl is NOT a 4 Letter Word: Who's Rad? Angela Madsen & Tara Remington. Who's Rad? Angela Madsen & Tara Remington. Angela is from the USA and Tara is from New Zealand. 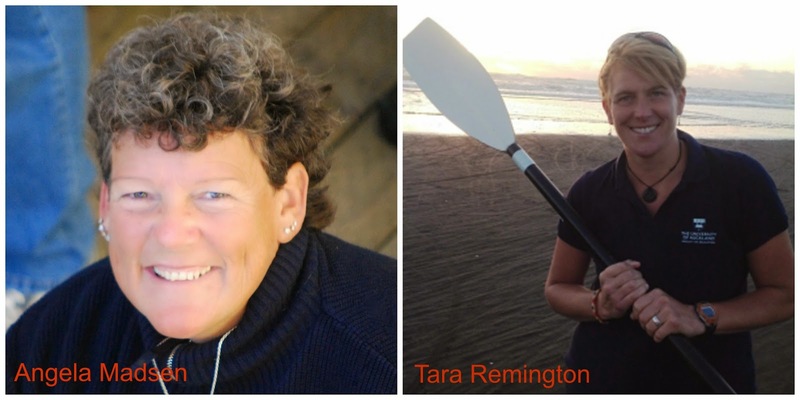 Both Angela and Tara hold Guinness records for ocean rowing. 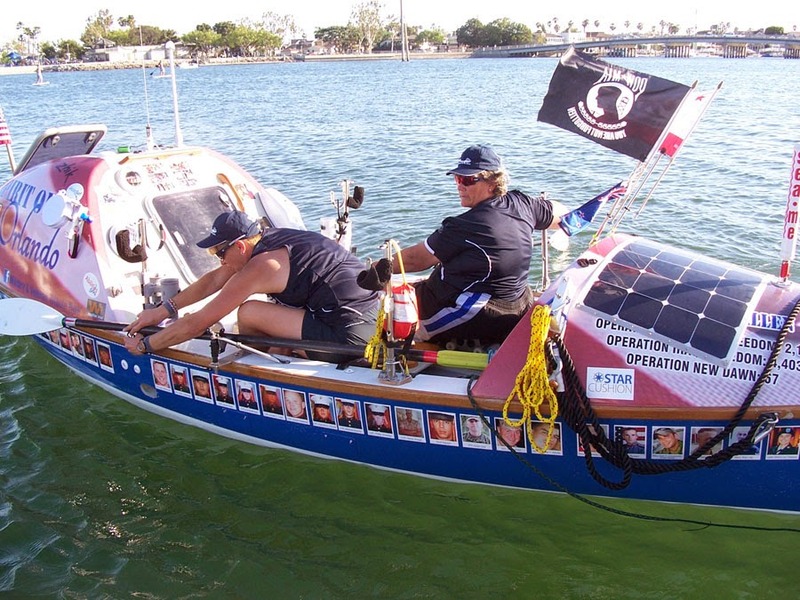 They are both competitive rowers and have done many types of ocean rows before partnering up for this huge undertaking. 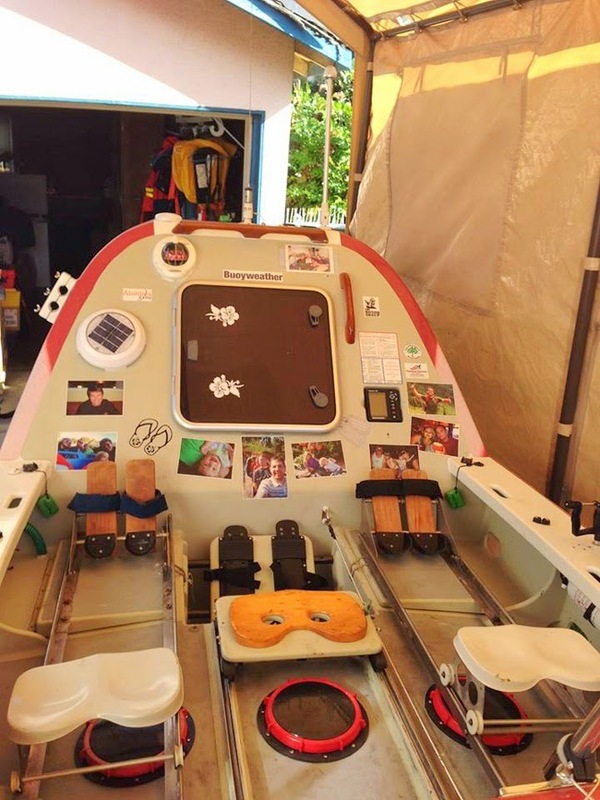 Angela is a disabled vet and paraplegic (she has competed in 2 Paralympics and won a bronze medal for shotput in 2012) and they are doing this row as a tribute to our fallen service men & women, and to raise awareness and money for their two charities. Angela is raising money for The California Adaptive Rowing Program and Tara is raising funds through "Row for Charlotte" to help a young girl named Charlotte so she can attend "Camp No Limits", a special camp for children who are amputees. Here's how the interview went down. It was day 36 into their row when we caught up with Tara & Angela via satellite phone while they were almost half way between California & Hawaii in the middle of the Pacific ocean. We lost our satellite phone connection at one point during the interview, and were unable to connect with them the previous day as the satellite phone had come unplugged in the night and lost it's charge. But as you will see from our conversation with these two rad women, they don't sweat the small stuff in life! Angela & Tara - so nice to speak with you both! Can you tell us when you left Long Beach California and when you expect to arrive in Waikiki, Hawaii? "We left Long Beach on May 20 and we won't arrive in Waikiki, Hawaii until July 24 or so, depending on weather conditions"
We have to ask the burning question - what makes you two want to do something that's as physically & mentally taxing as this journey? Angela: "I was flying over this huge body of water and looked down and said "I'm going to do that". "We both want to inspire others and let people know that there is a freedom of choice & adventure waiting for you out there. You CAN do things so get yourself out of the box and do it!" ** I'd like to note that Angela surfs and skateboards and once showed up in France ready to compete in a surf contest without letting the event organizers know she was disabled and ended up competing with all the other girls! Now that's badass! How many miles per day are you averaging? "The going was tough leaving Long Beach, California - we were barely making headway and the water felt like cement, but we are now averaging about 70 miles per day"
How is your day broken up? "We row for 2 hours on / 2 hours off. When the other one is rowing we take care of boat chores, cook, clean up, and try to get some much needed rest"
What is the toughest part of your day/night? "The 3 or 4 AM shift is hard. You are just tired all the time. Night is hard because you can't see the waves. Right now there is not a lot of light because of clouds - so no moon or stars"
This is a long journey in a small boat, you are 36 days in and have about 20+ more days to go, how are you both holding up? "We have blisters on our hands, sores on our rear from sitting and rowing, and we are always tired. No sunburns as we both use sunblock. Tara gets seasick so she has that to deal with. There are times when we wonder if we should stop but then we keep going. But over all we are holding up well!" What are your meals like out there on the boat? "We have dehydrated food on board, mac & cheese, Nisson noodles, granola with protein powder for breakfast, pumpkin soup for Tara as she has been seasick. We heat water on our stove which is powered by solar power and cook once a day. We also have snack packs with protein bars in them and Tara brought junk food on board - Moon Pies, candy bars & Skittles - you have to have Skittles!" Are you swimming to cool off? Would that be something you could do and still be safe? "We are always tied to the boat with a 20 ft strap for safety reasons. Leaving the California coast the water was pretty cold, now it's about 70 degrees and as the water gets warmer like this, we will need to go in and scrape mussels off of the boats hull. And later we will jump in to swim for the fun of it too"
What have been your favorite ways to entertain each other on this long journey? "We have Kazoo's and we play "name that song" with each other. We also have audio books and we started to listen to the book "50 Shades of Grey" but we gave up, we are out here with 1,0000 shades of grey! There are no sunsets and all we have seen is grey, grey, grey, in various shades, so we thought that was funny"
Editors Note: Tara played a song on her Kazoo for me over the satellite phone - how rad is that?! What have you seen while out there so far from land? "We haven't seen a lot of ships, we had some 10-15 waves hit us near the coast but now the waves are about 6-8 feet. A sea lion came up next to the boat and rolled over for Tarah - which is very unusual. We have seen sharks at one point & we saw 30 or so dolphins cruising with us." 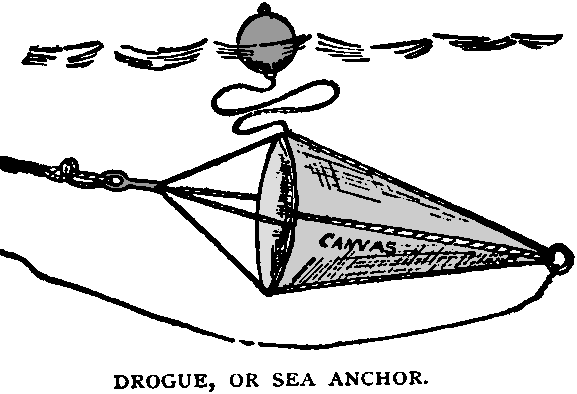 We heard that in rough conditions you will use a "sea anchor" can you explain to people who may not know what that is, how it works and why? "It's a parachute type anchor because we are on a 19 foot boat and the water is so deep. The parachute opens up under water and keeps the bow of the boat into the waves and wind and in stormy situations it helps slow down drift so we don't get off course and it gives us a break from rowing in really rough conditions"
Technology is amazing - the fact that we are able to hear you clear as a bell right now when you are in the middle of the ocean is so cool - what other devices do you have on board? "We have ipads, cameras, video cameras, 4G phones, night vision cameras and 3 Gopro's and about 100 mounting spots on the boat so we can attach the Gopro's to collect footage of our trip"
What is the first thing you want to do or eat when you get ashore in Hawaii? "We definitely want some fresh fruit and veggies, cold drinks, a hot shower, and a bed that doesn't move!" I know I was able to reach you originally on a ship to shore message line you have set up - can other people connect with you that way to send messages of encouragement? "YES! We love that - we can't respond to everyone but it's so nice to know people are following our journey and sending words of encouragement"
Any parting words before we catch up with you when you are back on dry land? "Whatever happens in your life happens. YOU choose whether to let it depress you or not. Choose the best life possible. You can do anything!" Want to see the boat and meet Angela in person? You can see the "Spirit of Orlando" and meet Angela (and hopefully Tara too!) at the Abilities Expo coming up March 6-8 in the San Francisco Bay Area and also in Los Angeles November 21-23, 2014. Want to follow the row and know more about what they are going through each day?